These days, there is still little doubt as to what the weakest overall fantasy position is in the game – and we’re about to dive into it. It doesn’t really matter whether you’re looking at guys who are in their peaks now or prospects who could potentially replace them down the line, the offensive bar at catcher remains very low. In fact, just looking at the second half of the top-15, it’s littered with players that haven’t proven their worth in the majors yet or are at some stage of coming back from a serious injury. Even when you move down the list and start talking about potential replacements for some of the older guys at the position, outside of the two top catching prospects (d’Arnaud and Zunino), all of the other minor league catchers are either low upside, light years away or staring down a potential position switch. On the major league side, there are some former top prospects hanging around the list, but it’s mostly a bunch of guys for whom you’d be constantly searching for replacements if you owned them. The complicating factor of this position, however, is that once you get beyond the top couple of names (or even just the top name, depending on how you feel about that second tier), there is potentially very little differentiating value between the middle of the top-10 and the outskirts of the top-15. What you lose in upside at this position, you gain in depth – with names like Grandal, Napoli and Lucroy residing in the mid-teens. You could make a legitimate argument to put any of these guys in the top-10 and you wouldn’t get a huge argument from me. The difference between Wieters at #5 and Lucroy at #15 is much less than the 10 or so spots would indicate. There’s really no contest here at the top spot. He just hit .336/.408/.549 with 24 HR and 103 RBI in his age-25 season – and while this may turn out to be Posey’s career year, you won’t be able to find a consistent threat to put up a .300 average with 20 HR anywhere else on this list. Depending on how you feel about these guys individually, they could constitute this tier in almost any order. Santana is the youngest of the group, at only 26-years old, but he’s not going to hit for the same average that Mauer and Molina will (or even steal as many bases). I have Santana ahead of Molina because I do think that he has a couple of 30 HR seasons before his prime is over. I go back and forth on these two, settling on Wieters only because he’s much more likely to retain his eligibility for future seasons. However, with that said, Montero could develop into one of the premier hitters in baseball, which would make the potential lack of catcher eligibility merely a bummer. But if he reaches his peak, he’ll be more valuable at 1B (or even DH) than Wieters is at C.
Another tight pairing, this is a battle of the steady performer versus a younger, and potentially better, version of himself. Montero (Miguel, this time) has been a very reliable source of average, HR and RBI from a very weak position – and still likely has a few more years of performance left. But I’m going with the 22-year old who burst onto the scene in 2012 after missing the first half of the year with a knee injury. Not only did he hit .301 with 11 HR in only 305 AB, but he struck out in a miniscule 8.9% of his plate appearances. Remember what I said about Buster Posey at the top? Perez has the best shot of anyone on this list of being a .300, 20 HR hitter (I’m excluding Jesus Montero because he’s not going to be at the position long-term). The shoulder injury is going to be a concern all of 2013, and he was starting to decline even prior to getting hurt, but he’ll still only be 30 years old in 2014. There are more good seasons left in that bat of his. People want to dock Rosario for playing in half his games in Coors Field, and while that’s fine if you’re talking about real baseball value, he’s still going to be playing there for a while. This party may not stop until the Rockies stop putting him behind the plate – which, unfortunately, could be soon as his defense borders on unacceptable. The 50-game suspension certainly hurts his 2013 value, and is likely sending his owners into backup plan mode. 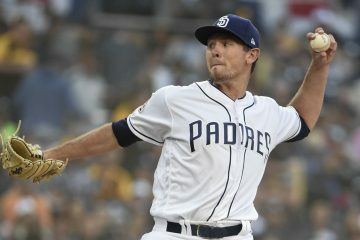 However, his value received some good news over the winter, as the fences are moving in at PETCO – so while it’s still likely to play as a pitcher’s park, the dimensions should be less extreme. I like Grandal’s chances to be a .285 hitter with around 15 HR once he’s able to play a full season, with even more upside down the road. There’s something very unsettling about the strikeout rate Napoli posted in 2012, not only because it was 30%, but because it was both a career high and more than 50% higher than his 2011 rate. However, this elevated strikeout rate was not accompanied by a career high swinging strike percentage (which you might expect to see) – in fact, his 11.5% rate for 2012 was both below his career average and the third-lowest of his career. With Napoli, the power’s not much of a question, but I see his batting average bouncing back into the .260 range for the 31-year old. Unfortunately, there’s now the question of his hip to add into the equation, which further complicates the issue. Lucroy really broke out in 2012, hitting .320/.368/.513 with 12 HR and 58 RBI in only 96 games. And while that power might be real, don’t expect Lucroy to maintain that type of batting average going forward. Though, if he can keep his strikeout rate below 15% (in his three seasons, it’s been 14.8%, 21.2% and 12.7%), he could be a .275+ hitter. Of course, it’s all a moot point if his wife doesn’t stop dropping luggage on him. These former well thought of prospects are still hanging around, trying to get a full-time shot. Norris looked like he would one in 2013 before the A’s traded for John Jaso, but I still don’t believe the A’s will let Jaso “catch” for more than around 50-60 games. One of these years, Norris is going to hit 25 HR and steal 10 bases – which would make him a fantasy stud, if he wasn’t also likely to hit .230 or so. Mesoraco’s path to playing time is more muddled as he’s directly behind Dusty Baker’s favorite toy, Ryan Hanigan. But he will get his shot at some point, and he still has the potential with the bat to run with it. I believe in Martinez as a top-10 catcher (if he’s eligible in your league) for the 2013 season. Unfortunately, he’s this far down the list because he’s an absolute lock to lose that eligibility when the year is through. He can still carry some value as a 1B/DH type, but his helpful power is a distant memory at this point (I’d be pretty surprised to see him hit even 15 HR this year). Though the batting average and RBI should be among the tops at the position. Both initialed catchers found their values increased by off-season activity. With Arencibia, it was the player who left town (Travis d’Arnaud) that gave him the boost. And with an improved lineup around him, following the addition of Jose Reyes, Arencibia could put up substantial RBI numbers for a catcher. With Pierzynski, it’s the new surroundings in Texas which make him more appealing for fantasy. But asking a 36 year old catcher to repeat a complete outlier of a season is paramount to doubling down a bet on a roulette table. The track record speaks for itself. In deeper leagues, don’t forget about Ramos. He’s coming off a torn ACL, but did hit .267 with 15 HR in only 113 games during the 2011 season. It’s at least one more season of eligibility at catcher for, by many accounts, the worst framing catcher in baseball. He’s fully capable of more .275-18-75 seasons, if he can just stay healthy, but as an OF, those stats would be much less interesting. Another example of the newfound depth at the position, a disappointing season pushes Avila from a top-10 catcher heading into 2012 to this point on the list. I just have a sneaking suspicion that Avila still has one pretty great season left in him, but it’s a complete crap shoot as to when it will happen. This is very little about the suspension and more about his baseline of power going forward. Ruiz was a 33-year old who posted a HR/FB rate of twice his career average (15.1% vs 7.6%). That is not going to end well. And I say was because he turned 34 today. Happy birthday Carlos! I still believe Iannetta can be a catcher who hits 25 HR with an average that won’t destroy you (though the glimmer of hope gets smaller and smaller with each passing year). Unfortunately, time’s running out on him, and he’s not exactly in a ballpark which is going to aid him on that journey. Very quietly, Jaso hit .276/.394/.456 with 10 HR and 5 SB in 361 AB in 2012. The ranking is all about whether you think the power is for real, as he hit 10 HR in 2010 and 2011 combined – and I’m not convinced. Going to a park that crushes RH power (park factor of 68, where 100 is average) will not help Martin maintain the surge he saw at Yankee Stadium. At some point, a .298/.371/.470 line in 202 Triple-A games is going to convince some team (if it’s not the Angels) to give Conger a full-time shot. His defense may not be great, but it’s good enough to find out if he can hit major league pitching. Lavarnway is going to have to hit a lot better than he did in 2012 in order for the Red Sox (or any other team) to put up with his defense. Of course, the obvious fact is obvious, since a .459 OPS might not get him into many lineups even with near-elite defense. He’s a long shot at this point to both maintain this eligibility and hit the way he hinted at in the minors, but as long as the possibility is still there, he’s worth a flier. Desperate times call for desperate measures. It’s really a coin flip between the former top prospect who strikes out in more than a third of his at bats or a 32 year old whose career year was only good enough to finish 17th on the ESPN Player Rater. Can we just take a second, step back and appreciate how amazing of a first name Wellington is? OK, let’s move on. 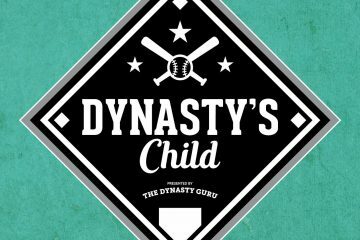 Brantly is a sneaky pickup in deeper dynasty formats (18+ teams and two catcher formats). He could be a steady .280 hitter with 8-12 HR power. And Castro is an older, and more weathered, version of Brantly, who should be ready to run with the Astros starting job in 2013. Will any of these guys ever get a starting job again? Hanigan’s fantasy importance lies much less in his own value than the extent to which he acts as the governor on Devin Mesoraco’s value. Hanigan is who he is, and that’s a solid second catcher in NL-only leagues. Regardless of what Realmuto does the rest of his career, I will always remember him as the guy who hit a HR off Stephen Strasburg in his first rehab start back from Tommy John surgery. It’s only one of two HR that Strasburg ever allowed in the minors. In my experience, catcher seems to be one of the most expensive positions to try and trade for. It doesn’t seem to be worth the outrageous prices for the top active catchers (Posey, Santana) and even the prospects like d’Arnaud are hard to pry away. Even using a top 5 draft pick to get Zunino seems like a reach when you consider who you’d have to pass up to get him. Is it even worth it to overpay to get a guy who is going to top out at maybe .280 and maybe 25 HR with a lot of injury risk that comes with the position? I’ve been trying to deal JP Arencibia, because I feel I could replace him with any random mook from the wire, but if no one is buying, I’d be fine keeping him. I’ve also become interested in Gary Sanchez. If he can stick, he carries “The Yankee Premium” in potential trade value. I’ve also been thinking about trying to get Mesoraco while his stock is way down. Who do you like for your dollar? In my opinion, absolutely not. And it’ll be even more clear based on where the catchers fall in the overall list. The position is all depth right now, outside of the top handful of guys, so I’d rather wait and see who comes to me than deal for a catcher. For me, I’ll jump on anyone who’s cheap – and at this point it might be Mike Napoli and Derek Norris (depending on league size and format). Napoli’s value may be deflated more than enough to be worth the risk that his hip ends up being a big issue. Norris is “apparently” on the outs in Oakland because of the Jaso acquisition. But that’s not close to a given because of Jaso’s terrible defense. I would not expect Zunino to be up until June or July, at the earliest. For all the “he could get the job out of ST” hype, there’s a very slim chance of that actually happening. If you make that deal, I would definitely expect to be without a helpful catcher for pretty much all of 2013. Even when Zunino comes up, don’t expect him to be a great fantasy player right away. It’s rare for catchers to come to the majors and hit immediately. I noticed that Tyler Flowers did not make your list but I expect him to get a lot of playing time this season. Is he not worthy of considering as a backup candidate in a 20 team league, compared to a guy like Hanigan, who doesn’t have much future value? In a 20-team league, he’s worth more of a shot, but I’d rather have Ryan Hanigan. At least he won’t kill you in AVG. I just don’t see any upside to Flowers and am really shocked the Sox are going into the season expecting him to carry the load. I don’t see an impact bat, and I don’t see a path to playing time either. He’s terrible defensively behind the plate and the Braves are pretty set at 1B/OF. If you have a free spot and there’s no one else out there, sure take a flier, but otherwise, there’s likely a better use for that spot.